About six years ago I was at a party with some of my Parsons’ classmates. Our teacher, a decidedly stylish designer named Bliss Lau, was wearing the most incredible floor length jersey dress printed with giant tiger heads. We all gushed and wanted to know where it was from. Earlier that day, she’d been to a Mara Hoffman sample sale and snagged it there. That was the first time I’d ever heard of Mara Hoffman and I have kinda been obsessed with her ever since. What I like about Mara Hoffman‘s designs is that most of her pieces look like something you couldn’t get anywhere else. Her prints are so distinctively cool; they achieve what Suno does but with more wearability (read: I can actually afford them). 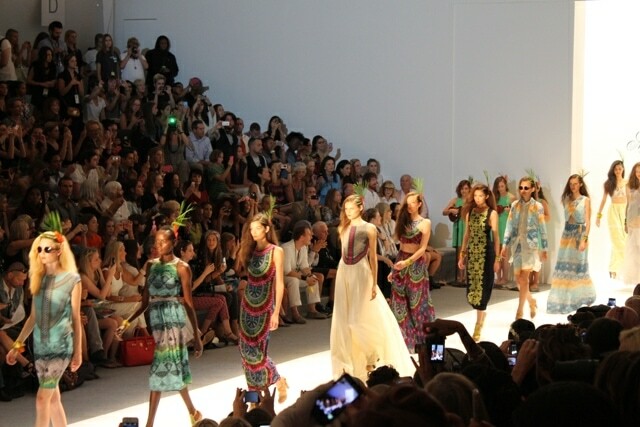 Her Spring 2013 collection opened with three ukulele players and each model’s hair was festooned with a palm frond. I’ll leave it to you to discern the theme. Hoffman’s collection took the beauty and ease of beach wear and transferred it via beautiful prints and airy silhouettes to pieces that could even be worn on the streets of Manhattan. Given that the temperature the day of the show was in the 90s with close to 100% humidity, I half-expected the models to walk right off the runway and down Columbus Avenue. 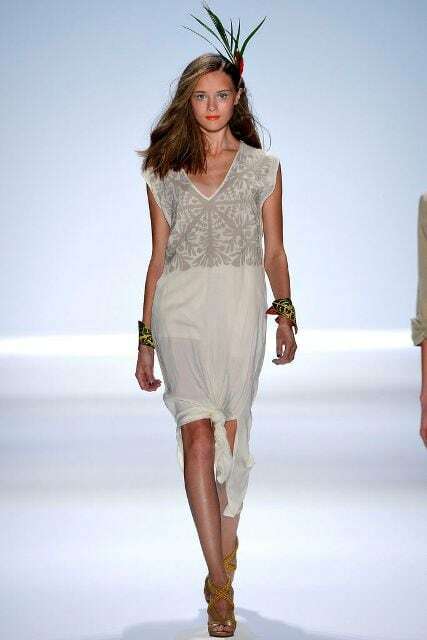 These are my favorite looks from the Mara Hoffman Spring 2013 collection. I would be the happiest clotheshound next Spring if these looks were in my wardrobe. Sigh, can at least one be? 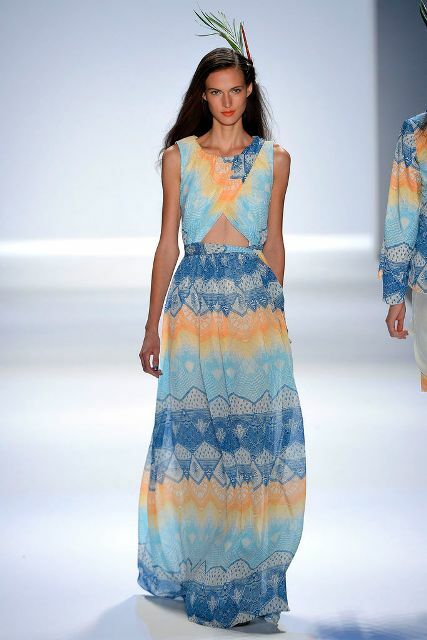 Check out the full loveliness of the Mara Hoffman collection here. 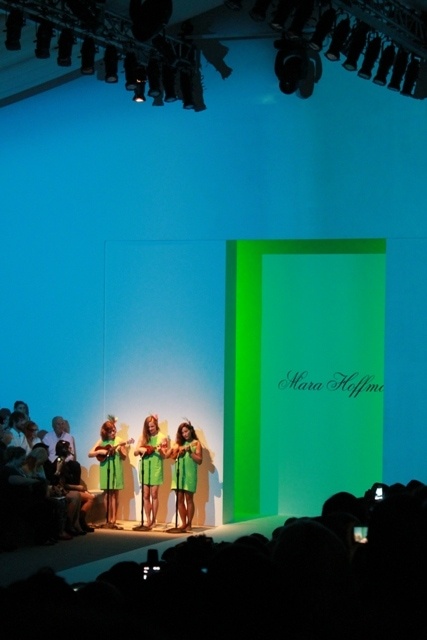 All runway images courtesy of Mercedes-Benz Fashion Week.